Babies love being totted around by mum or dad. But if you have chores to complete, it’s near impossible to carry them in your hands for hours. A baby carrier provides the convenience of being able to go about your daily tasks hands-free with your baby resting against you. This article evaluates our top best baby carriers to cover various needs. From newborn carriers to twins baby carriers, and even hiking brands, we’ve got it all covered. Here a few notes when buying your next baby carrier. Why do you need a baby carrier? This is the comfort needed for your baby as they rest in the carrier. The carrier should have interior padding for the baby’s lumbar support. Fortunately, many of the baby carriers in today’s market include the internal padding so it should not be very challenging to choose. You should look for small holes to prevent your baby from slipping through especially when carrying the baby when they are facing in. When carrying a newborn baby, it’s crucial that they have ample head support because they do not have the required control for the head and neck. The padded headrest will provide ample support so you can easily monitor the baby’s breathing against your chest. Baby carriers have a construction from different fabrics that can either be natural or synthetic. The material determines the strength, breathability and the comfort of the carrier. Most materials are either cotton or polyester. They can also be an organic fabric which is even better because of the additional strength.These materials are popular because they are known to be soft, breathable and yet very strong. It’s also crucial that you look for a carrier that has anti-allergic properties, and is easy to clean even as it is comfortable and easy to use. 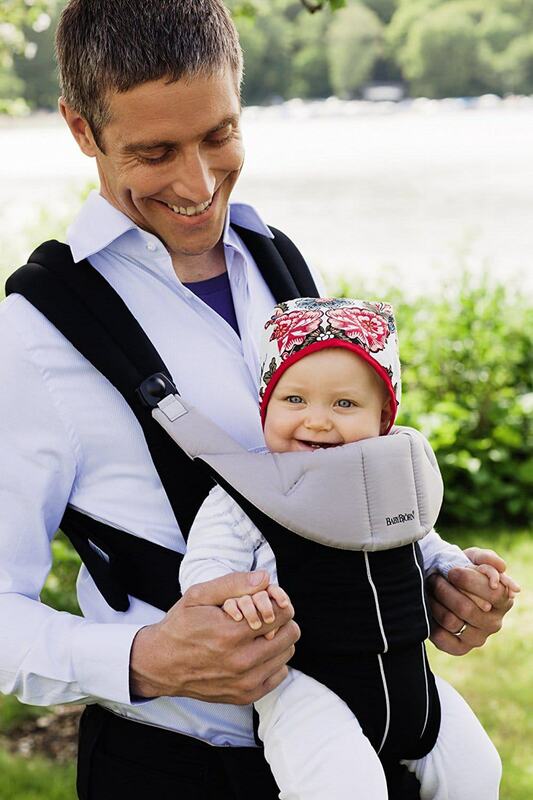 The straps should bear the weight of the baby and also feel comfortable on the shoulders. You don’t want to feel like the straps could dig into your shoulders especially if you are carrying a toddler (you know how heavy they can get). This is an essential piece as it prevents the shoulder straps from slipping. When carrying a heavy baby, it brings a world of difference because it offers a sense of security and comfort as you handle daily tasks. You’ll find different types of fasteners depending on the brand you buy. The fastener could be a buckle or rings. You should be able to fasten and undo the straps with ease. Also look for ergonomic fasteners which allow adjusting the length as your baby grows. A waist belt is important since it distributes the baby’s weight across your lumbar. These are mesh areas which provide ample breathability for the baby during the hot months. Remember it can get uncomfortable in a padded space for a small baby. This comes in handy when you want to cover your baby when they are sleeping on a hot day. It should be flexible enough to be tucked away when it’s not in use. Why we like it: Unlike structured carriers, Baby K’tan Original Baby Carrier is sized to fit all parents. It provides a comfortable and secure fit to support the head and neck of newborn babies. If you get confused using the traditional wrap, then you are in for a smooth time with the Baby K’Original baby carrier. Designed to be of great help for new parents, this carrier is excellent for mothers who need a little help totting a baby in their early months. The cotton fabric stretches one-way to fit the baby’s size and you in the process. It comes with double loops with double fabric which allow the baby to rest and feel support from the head to the lumbar and even the hip area. The International Hips Dysplasia Institute approves this carrier for healthy hip development of your baby thanks to the double loops. You will not need to worry about stretching the baby’s hips, especially during the first few months. This baby carrier slips on like a t-shirt, and true to that, you can experience the comfort of not having to unwrap the carrier to hold your baby. You can now tot your baby fast as you won’t be wasting any minute with it. With the patented double-loop design it’s straightforward without dealing with buckles or rings. You have a carrier that is adjustable to allow proper positioning of the baby against your body. Just pull on the loops if the baby is sitting below the chest or machine wash and heat dry the carrier to make it tight if it becomes loose with regular use. What’s more, this carrier can be worn five different ways. You can wear newborns with their legs in or out or also carry the baby facing the front or back; you can even carry them on the hips when they are older. Baby K’tan is a thoughtful design for new mothers who would like to use a carrier that is not structured. It provides skin-to-skin bonding plus there are no tying hassles associated with the double loop design. Why we like it: Perhaps the most ergonomic model is the Baby Bjorn carrier. Backed by experience with the help of pediatricians, this carrier offers the ultimate support for the head, neck, spine, and hips. Are you looking for a carrier that will provide safe development for your baby? Then you will find the Baby Bjorn great at accomplishing that very purpose. It was designed to offer wholesome support for the baby so that they will develop into healthy active babies. With the extra padding in the interior of this carrier, you will find it extra-comfy to cuddle a newborn. It will fit securely with the proper adjustments which prevent any chances for the baby slipping even if they are just a month old. This model is developed with the baby’s health in mind. The leg and hip area are positioned correctly to allow proper sitting of the baby. Not to mention, the baby will be able to move their hands and legs freely in the carrier; thus promoting healthy motor development. The head support is firm and adjustable. It gives the baby a comfy area where they will rest the head and the neck when carrying the baby facing in. If you choose to carry the baby facing out, the head support can be folded out to provide a good view of the world. Baby Bjorn Original uses safe and certified fabrics in the construction of this carrier. It is hypoallergenic and safe to taste and chew as it meets International Safety Standards for Textiles, and it does not contain health-hazardous substances. The Baby Bjorn Original Carrier offers closeness that you and your baby need during the first year as you learn to interpret the needs of your baby at all times. It is firm, well-padded, adjustable, and it sits upright for proper breathing of the baby. Why we like it: A baby wrap designed to give close bonding time for a healthy baby’s development. From the materials to the ease of cleaning, this wrap is all you need for your baby from infancy to the toddler age. This carrier gives you a totally hands-free experience. It allows holding the baby for hours so you can complete house duties and even have more time to explore the world with your baby. It can support your newborn since by contouring to your child to provide support in all the right places. With a simple no guess-tying style, you will be able to fasten this wrap in just a few minutes. This way, you won’t be hassling with the wrap every time you need to take the baby with you to the grocery shop. With a stretch cotton fabric, you have a wrap made from solid material yet very flexible when it comes to nursing time. You will love how easy it is to feed your bambino since it will also form to your body and give you enough room to breastfeed in a comfortable position. This wrap enjoys a construction of 95% cotton and 5% spandex. This makes it super durable since the material will not stretch and lose support to when you wash it. Speaking of washing, the carrier is machine-washable meaning when it gets soiled it will be ready for use the next time around. Since this baby carrier stretches and forms to your baby, it goes without saying how versatile this wrap is. You can use it as a back and front carrier to suit your immediate needs. You can even stretch the fabric further to cover the head of the baby when it’s sunny without bringing in an additional cover. Boba wants you to go on and be adventurous with the help of a simple tie-and go baby carrier. It is easy to clean, quick to tie, and it’s a soft, stretchy material. Knowing that it is breastfeeding ready gives it even more practicality. Why we like it: A premium styled Carrier that offers hands-free convenience in a sophisticated style. Parents can carry the baby in any position whether it’s an infant or a grown toddler. The Ergobaby is all about comfort and ergonomics. You will be able to use this carrier from the time the baby is in their first month, but you will require a baby insert. The bucket seat is adjustable to provide natural baby positioning such that the spine can be in a neutral position and the legs will either be tucked with an insert or in a frog-leg position when the legs are out. Whether you want to carry the baby facing in or out, this carrier provides for all styles. It has adjustable buckles to suit all body sizes. You can also wear it as a hip or back carrier just the way you want. You will love that it caters for most body sizes since the shoulder straps are adjustable from 28-46 inches while the waistband can go from 26-52 inches. As we indicated, LILLEbaby offers six carrying styles. At first, you have the fetal tuck with feet in the carrier. This position can accommodate babies as small as 7 pounds. Second, we have the tuck with the baby’s legs out, and then you will also choose either facing in and out as the baby grows. The trendy hip-hug is the number five style to carry your baby while the sixth is the back carrier which is suitable for big kiddos. We all know that it’s not all merry post C-section more so if you have to carry the baby. That’s why Ergobaby provides an extra wide wrap-around waistband which offers additional support for the baby while keeping your back in the correct position. It takes away any stress by bearing and distributing the baby’s weight. You also have padded shoulder straps that are a breeze to buckle. Ergobaby has done a great job in ensuring that both mom and baby are happy. It is ideal for proper hip development, and it can hold up kids up to their toddler age. It uses 100% premium cotton that makes cleaning super simple. It is your go-to for babies 4-12 months without a baby insert and 0-4 months with a baby insert. Why we like it: A consistent favorite for hikers owing to the nylon fabric and 50+ UPF hood for wandering in the woods or hiking the trails. You don’t have to give up hiking after having a baby. 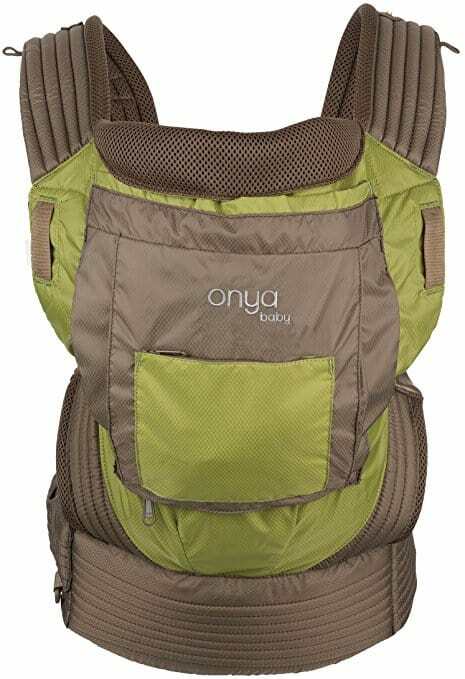 The Onya Baby Outback Baby Carrier allows you to hit the trails in a well-designed carrier. With a 100% ripstop nylon construction, this carrier is robust, yet lightweight. It is a hot-weather carrier since it is a moisture wicking material. This means it will not hold hot air and make it hard when going up a trail in the sun. The soft structured seat allows carrying the baby on the front, back, or on the hips. It also comes with an integrated chair harness such that you can sit the baby down in most chairs without them tipping over or requiring extra support. 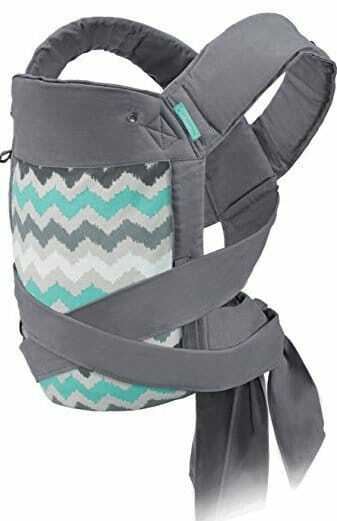 The Onya Outback Baby carrier has low-profile straps which can be worn in an X position when carrying the baby on the front. They help distribute weight evenly so your shoulders will be comfortable at all times. It has leg padding to offer a soft landing for the baby’s thighs throughout your hiking expedition. The carrier comes with a large, zippered pocket to keep diapers and other essentials like a pacifier and wipes. It is easily accessible since it does not open in the form of a flap. It also has toy loops that keep toys from falling. You can still master the trails even with a small baby. The Onya Outback is ideal for short hiking trips as it can only fit a few essentials. It is comfortable to wear, breathable, and above comfortable for the baby. Why we like it: A convertible four-way carrier is what the Infantino is all about. You get to carry your baby from the time they are only 8 pounds to as heavy as 32 lbs. Many baby carriers require that you have a baby insert for newborns to fit small legs. But you don’t have to worry about any extras with the Infantino design. This model allows you to narrow the seat to make it comfortable enough for small infants. This way, you won’t force them into a wide leg position which can stretch their hips unnaturally. When your baby is out of the infancy stage, you will be able to expand the carrier and provide the needed support for knees and hips for older kids. No matter what size your baby is, this carrier is flexible to accommodate that exact size. 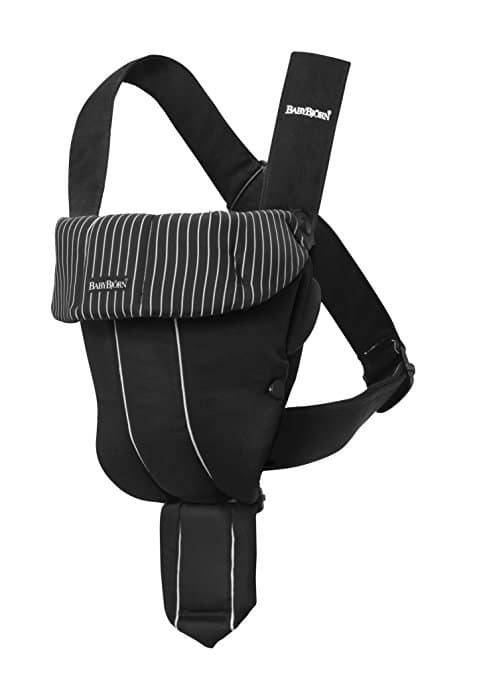 With the extra-padded straps, Infantino provides convenient carrying of the baby. It even includes a waist strap which comes in handy to distribute the weight of the baby. The shoulder straps are also adjustable meaning they will fit every body type for both moms and dads. Infantino has a wonder cover bib which protects your carrier and you from drool and spit-up. This way, you will not be washing it now and then. The wonder bib sits inside the carrier when you carry the baby facing inside, and it sits across the headrest when you carry the baby facing outside. Infantino is not only thoughtful, but it is also comfortable. It has a convertible seat which is flexible for all baby sizes. Not to mention that you can carry the baby in four different positions. Why we like it: Six different positions to carry the baby from their first month to way beyond their first year. With six different positions, it is all-rounded to cover every parent’s unique style. First, we start off with the supportive design that the LILLEbaby carrier explores. This carrier comes with its insert for infants and newborns. You won’t be going back to the store for more accessories for a comfortable fit. Better still, it is a lightweight model which will not weigh you down even before you insert the baby. You will love the adjustable head support which will be vital for your infant’s head and neck support. The padding secures the baby’s head so they can rest in a controlled position. LILLEbaby is made from 100% cotton, and it includes a highly breathable 3D mesh. Your baby will not have to endure a hot carrier in summer’s heat thanks to the mesh. Air can circulate freely in and out of the carrier so that they will not be uneasy as you go about your daily tasks. 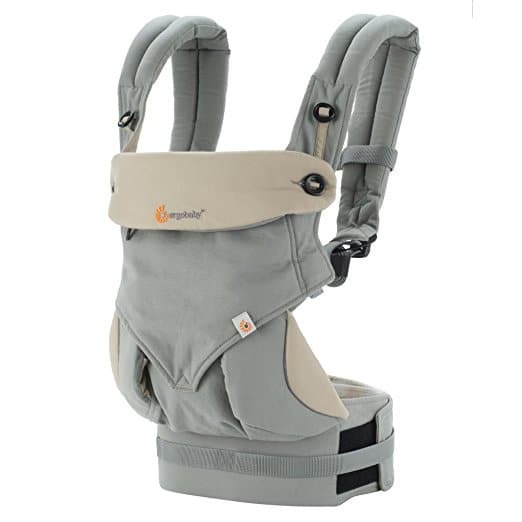 This carrier has been evaluated by the International Hips Dysplasia Institute as a carrier that provides optimal positioning and ergonomic support. This means the baby’s hips will sit naturally so they will develop healthily. We can’t exhaust everything there is to say about the LILLEbaby All Seasons Six-Position Carrier. But we are confident it has every feature that every parent would want to have in their carrier. From the adjustable carrying positions to the mother’s lumbar support waistband, customized carrying, and mesh lining, LILLEbaby has done their homework on this one. Why we like it: Infants can be close to dad as they are to mum. 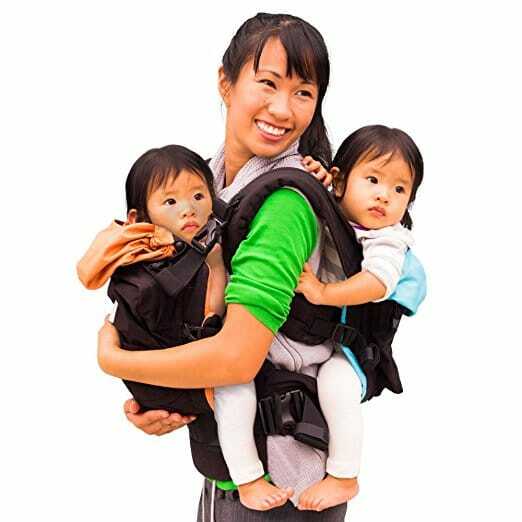 With a carrier designed for both partners, this model is all you need for cradling your child and building a connection right from the time they are teeny tiny. Every dad desires to be close their baby and the Infantino Flip Front 2 Back Carrier will give you that bonding time. It is a well-rounded carrier that will come in handy when you want to help mom during a trip. This model is going to be useful right from the time the baby is in infancy until the time they can’t wait to get out and play. Infantino has this versatile carrier for use in three positions. You get to carry the baby when facing in, facing out, or they can ride in the backpack style position. It can accommodate infants from 8 pounds to toddlers weighing as much as 32 pounds. Now you know you won’t buy another one when the baby is only six months. If you are taking your baby out in the sun, you have the comfort of a breathable mesh fabric. It provides air circulation to help the baby feel comfortable when it’s scorching. You will like the padded straps and the chest strap that helps to distribute weight and provide a snug fit. Not to mention, the side detaches so that you can get the baby out with ease. You know how tricky it can get especially if you are a new dad and you have never handled a baby before. You don’t have to wait until the baby can sit up to have some cozy time while mum takes a rest. Infantino Flip Front 2 Back Carrier is all you need to connect and learn all about your new baby. Why we like it: a buckle-less design with an ergonomic seat for correct positioning of baby’s legs and hips. Meet versatility on a whole new level with the Infantino Sash Wrap and Tie Baby Carrier. This model brings you the convenience of being structured and yet very easy to wear. It covers both aspects of baby carriers to fit moms who favor the tie-down style but with a firm frame for added support. The sash design is from traditional ages, and it brings flexibility into the modern world. One thing you’ll notice is that is that it adjusts to your body and the baby; hence you will be using it from the time the baby is born until they grow out of it. This model allows you to customize the way you wear it. You are not restricted to the front facing in style as it also allows back carrying more so for heavy babies. You will also be able to use the hip-hugging style so both of you can have some adventurous moments together. Infantino designs this carrier using a natural seat. It provides equal distribution of the baby’s weight. With the padded straps and sash, you can comfortably tie them in a wrap for lumbar support. We also like that it has a detachable hood which will provide some shade when it is sunny. You will love it for the polyester construction since it regulates the baby’s temperature, so they will remain comfortable even if it is scorching. The frame of the carrier is of cotton which is very breathable. Infantino is inspired by Mei Tai an old style of babywearing. It offers a natural fit for you and the baby meaning it is great for all body types. With three wearing positions, a detachable hood, and a natural seat, we can agree that Infantino Sash Wrap and Tie is a winner. Why we like it: TwinGo can carry twins or kids of different ages simultaneously. It’s an award-winning product for parents with twins or two small children. Caring for twin babies can be an overwhelming experience. The TwinGo got you covered as it has taken into consideration all the possible scenarios for carrying two babies. This carrier is our favorite since it has a back and front carrier following an ergonomic design. The two carriers are connected using sturdy buckles which you can use to separate them. The TwinGo consists of a base and an attachment carrier. The base comes with a blue interior and permanent straps while the attachment comes with an orange interior and removable straps. The hoods protect the babies from the sun and can also be folded to act as additional head support for small babies. It has a set of large pockets where you can put on-the-go essentials like diapers and wipes. Better still, it has adjustable shoulder straps to accommodate parents of different heights. You will like that it has a cotton construction so that it feels comfortable for you and the kids. The TwinGo carrier can accommodate up to 70 pounds with both carriers while one can take kids from 7lbs up to 45 lbs. It’s good to have such a wide weight accommodation so it will be of use even when your babies are toddlers. TwinGo has designed a remarkable product for twin parents. 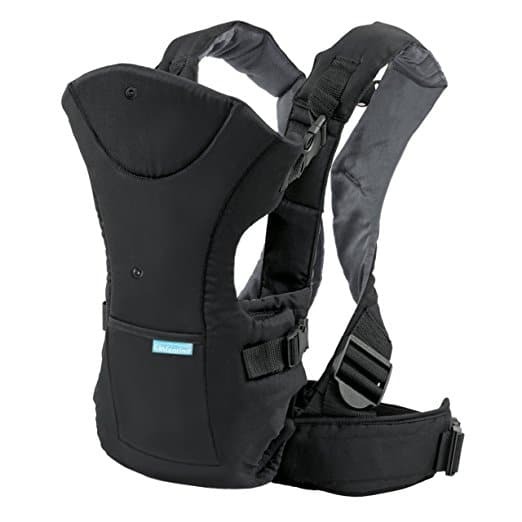 It can be divided into two single carriers or be used as an ergonomic dual-baby carrier. It is an economical model knowing that buying two separate carriers can cost a lot more than just buying two separate models. It can take time figuring out how to wear the babies when you don’t have extra hands, but once you can do it on your own, it’s only going to take like a minute. We cannot underestimate the simplicity of carrying your baby against your chest or on your back. They leave your hands free to complete tasks as well as being able to navigate easily in crowded places. If your child needs to see you or feel your closeness for them to sleep, a baby carrier will come in handy then. It allows you to complete your housework without taking a break to snuggle a baby while lying down. Not only that, travel can be hectic with a stroller in places like the airport or stadium. You won’t go pushing through people when you have a carrier. You’ll even be able to bring the baby when taking walks and hiking trips. These carriers are common and are also ideal if you have a back problem. They come with two straps to support the fabric seat. 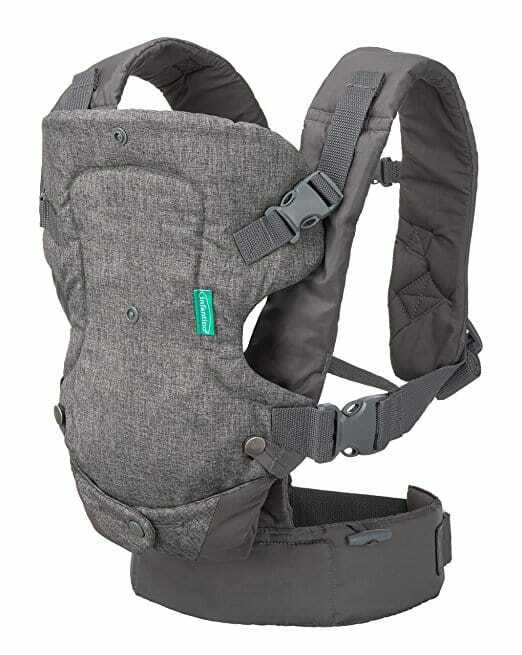 This type of carrier will allow carrying of the baby facing in during infancy, and later the baby can be carried when facing out or on the back according to the brand. This is a fabric type of carrier that is structured as a long swath. It is worn across the torso with one side over your shoulder. They can be padded or unpadded providing different feels. These carriers usually have rings for easy adjustment. This type of carrier is also a wide fabric but it is worn over both shoulders. These carriers provide versatility in positioning the baby making them a trendy choice like the Boba Wrap. Adjusting it for comfort is as easy as pulling on the fabric. The health of your baby is the topmost consideration and this is where ergonomics comes in. The carrier you choose plays a significant role in the healthy development of your baby. If you are selecting a carrier for a newborn, the carrier should promote a natural C spinal alignment when their legs are tucked up in a position known as the fetal tuck. When your baby is beyond infancy and from their third month, the carrier should help keep their legs in an M or frog-leg position. You do not want the legs to dangle and force the baby’s leg into a stretched out position. This could bring about a condition called hip dysplasia. Again on the ergonomics, it’s essential that the carrier allows carrying the baby high enough on your baby. The baby should be close enough such that you can kiss their forehead. You will want to monitor their breathing and ensure it is normal at all times. Your carrier should be designed to grow with your baby. For example, it should be shaped to accommodate an infant even without requiring an extra baby insert. It should also allow carrying the baby as they grow and in different positions. This can be two positions, i.e., facing in and out, three positions to include a hip-hugging position to six positions with a high-end model. A comfortable baby carrier will have comfort features which include wide straps to help distribute the baby’s weight on your body. Most of them use a sturdy fabric to support the baby‘s head, neck, and spine. The carrier should also be of a soft material like cotton to provide a comfy feeling for the baby. When it comes to safety, do not forget to look at the stitching, the seams, zippers, and strength and quality of the buckles, rings, and clasps. If you are having trouble putting on the Baby Bjorn, you can check out this video and have a feel of how to go about it. On this point, you will also want a carrier that is easy to maintain. Remember kids can be messy, and your hands can be full, so constant hand washing may not be an option. Machine washable carriers provide the most convenience. How much should you spend on a baby carrier? Carriers have a vast price range it can be difficult choosing a carrier based on the price alone. The cheapest carriers can be as little as less than $25 while others can go up to $200. Usually, the price goes hand in hand with the features of the carrier. A baby wrap will be cheaper than a structured carrier that provides six carrying positions. Baby carriers play an essential role in caring for your baby. From a hands-free experience to a comfortable method of cradling your baby in the streets, a baby carrier is something you do not want to go without. We have covered some of the popular baby carriers from well-renowned brands. You will find a model for newborns, older babies, for twins, high-end models, and even inexpensive ones. Whatever your preference, this list is all you need to make an informed choice.